“There are gaps we need to fill, especially on stocks like tents and medicines that cannot be procured at short notice,” Sarath Lal Kumara, assistant director of the Disaster Management Centre (DMC), the main government body tasked with early warning and relief work, told IRIN. The pre-positioning of emergency supplies is viewed as key to increasing preparedness for natural disasters, experts say. According to the UN Office for the Coordination of Humanitarian Affairs (OCHA), humanitarian partners have reported they have “very limited” rapid response stocks, including tarpaulins, non-food items and tents to use in any future emergency. Agencies were not able to mobilize resources to replenish their relief stocks over the past two years due to limited funding. As natural disasters have increased in frequency and intensity, the humanitarian partners in country need to be prepared to respond. "However, the fact that they are called to respond to repeated small emergencies with existing stocks, UN and NGOs find themselves with depleted stocks," the report said. Just 10-20 percent of required stocks were in hand, said the Sri Lanka Red Cross Society (SLRC). “SLRC has supplies to assist 11,000 families,” Indu Abeyratne, SLRC programme manager for early warning, said, down from the necessary 100,000. “That assessment is based on the kind of displacement and needs we would encounter during moderate floods,” he said. Natural disasters in Sri Lanka are commonly caused by floods, cyclones, landslides, droughts and coastal erosion, studies show. DMC has delegated initial response, including the provision of stock which can be purchased locally as needed, to offices of the over 350 divisional secretariats spread around the country which have budget allocations to buy supplies. “They can even confiscate essential supplies during a disaster if there is hoarding,” DMC’s Kumara said. Purchases can be made on credit and to cover immediate needs. The official added, however, that the government remained reliant on the UN and other agencies like SLRC for specialized supplies such as tents, water purification units and medical items. Sri Lanka has reportedly faced serious funding shortfalls over the past year. However, officials were reluctant to provide a figure. Unofficially, one SLRC official said they needed at least US$10 million to bring their resources up to scratch. Both Abeyratne and Kumara worry their lack of emergency supplies could undermine relief operations when the next disaster strikes. “This is something that we have to be prepared for. You will never know when it will come, but the signs are not good,” Abeyratne said. 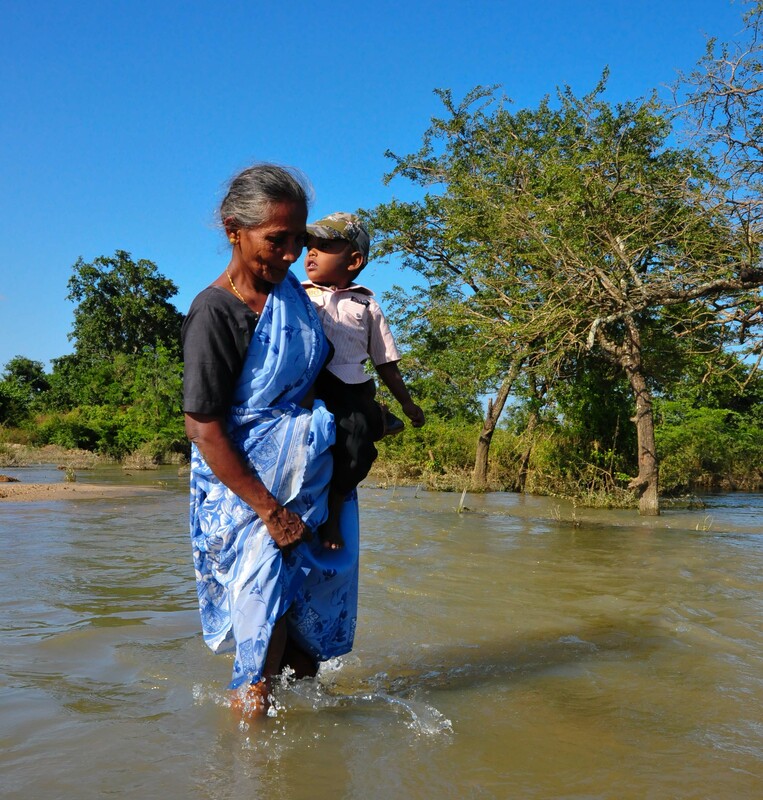 The number of persons affected by disasters in Sri Lanka has been steadily rising in the last eight years. Since 2005, over 3.4 million have been affected by disasters, according to data maintained by the Disaster Information Management System, a global disaster database. On average since then, 600,000 people a year have been affected by natural disaster, though 1.6 million were affected in 2011, 1.3 million in 2012, and 600,000 in the first half of 2013. (The figure for 2012 could be as high as 3.6 million if still unofficial figures of 1.3 million victims of drought are added). Experts believe Sri Lanka needs to factor in the increasing frequency of disasters when calculating future stock needs. “We see a strong reason to assess future risks incorporating the changing patterns of weather and climate trends,” said Senaka Basnayake, head of climate change and the climate risk management department at the Asian Disaster Preparedness Centre (ADPC) in Bangkok who has decades of work experience in Sri Lanka. Atiq Kainan Ahmed, an APDC early warning specialist, said that not only did stocks need to be at required levels, but those levels needed to reflect changing climate patterns in the country. “If current stocks are based on historical trends, there may be a shortage of supply,” he said. Rather than waiting for supplies and funds to come from overseas, authorities need to mobilize a national campaign to raise the funds, SLRC’s Abeyratne added.